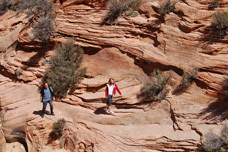 We offer one Zion tour from Salt Lake City to Zion National Park. 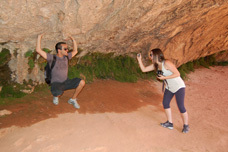 This is a one day tour that visits Bryce Canyon first. 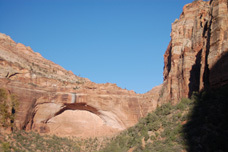 From Bryce you will travel down a very scenic Utah backroad, and enter Zion at the seldom used east entrance. The tour finishes in Las Vegas.